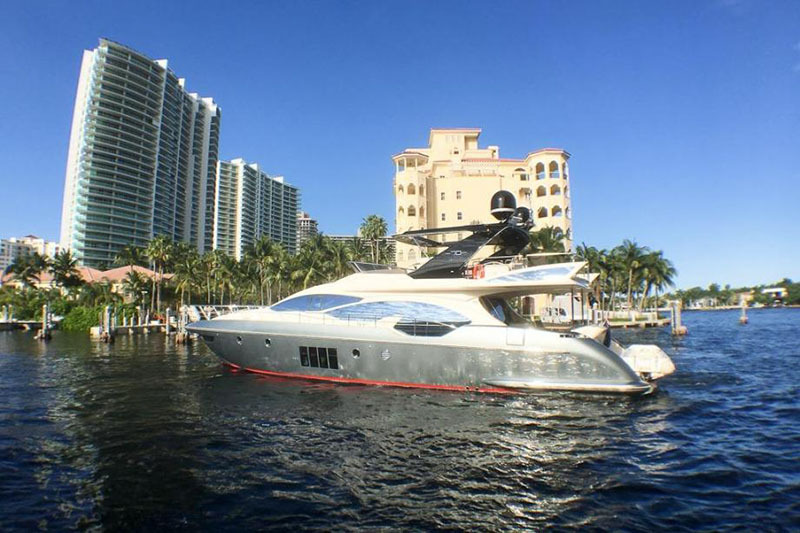 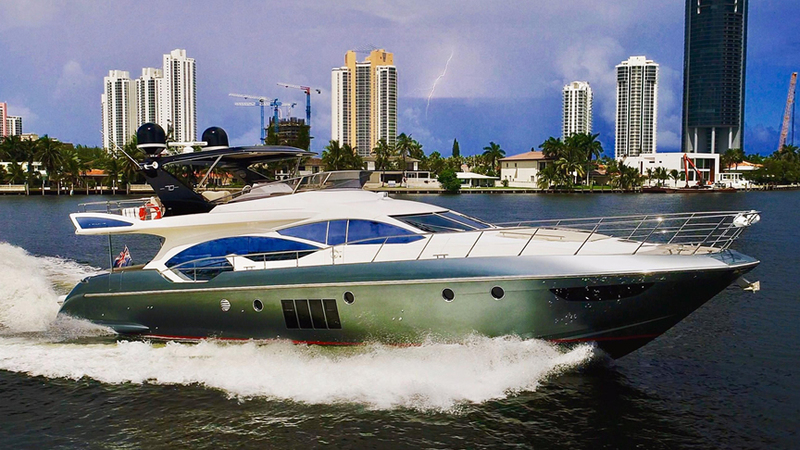 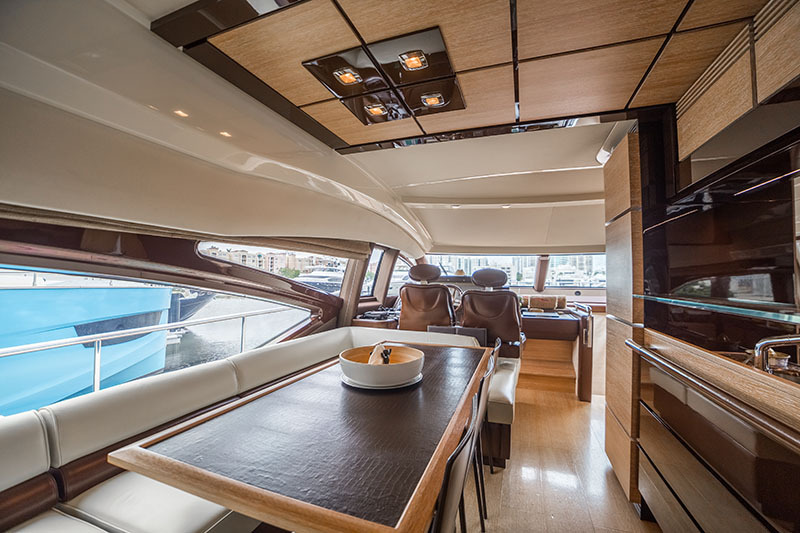 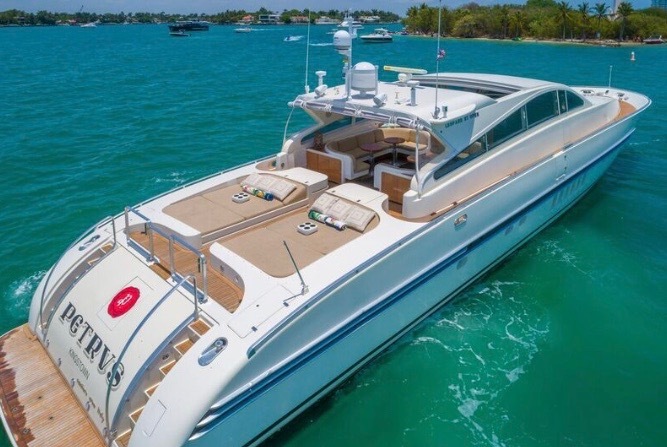 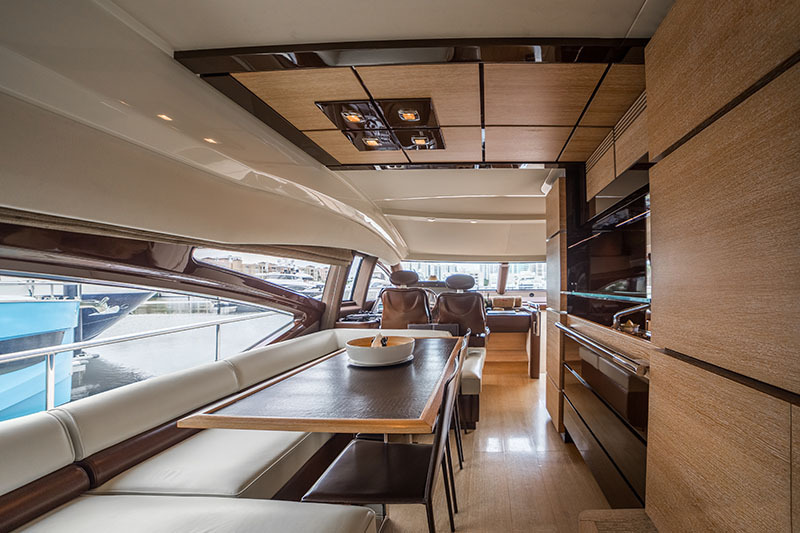 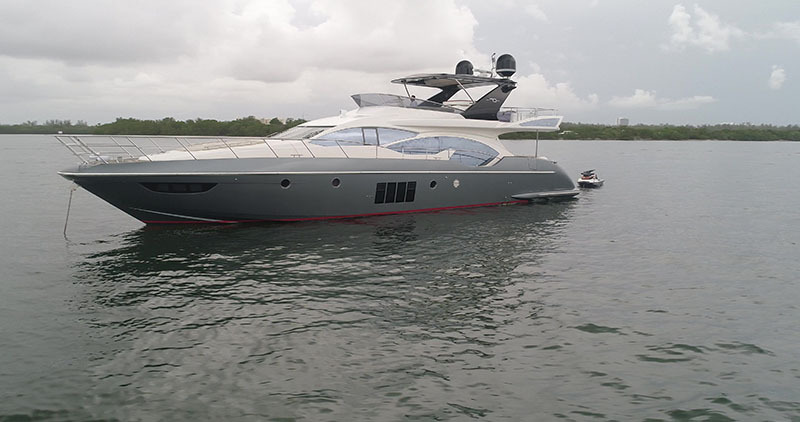 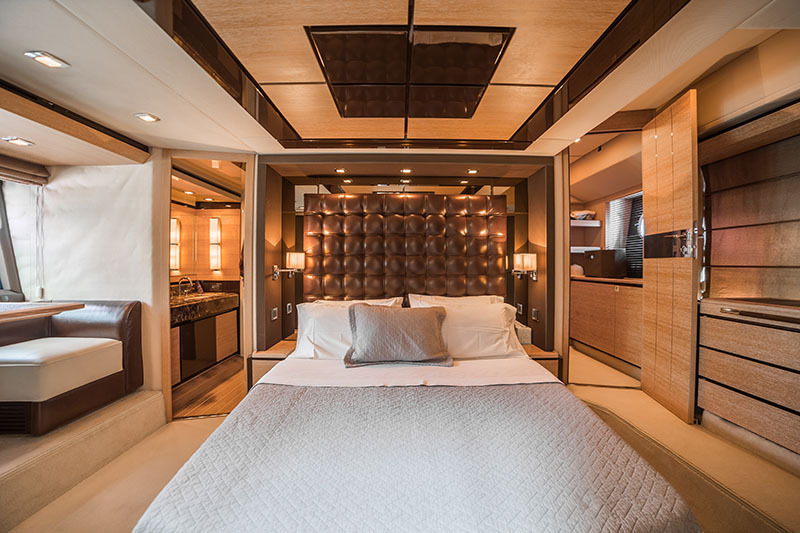 Charter this 5 Star Rating in Luxurious 70' Azimut Power Mega Yacht for up to 8 people. 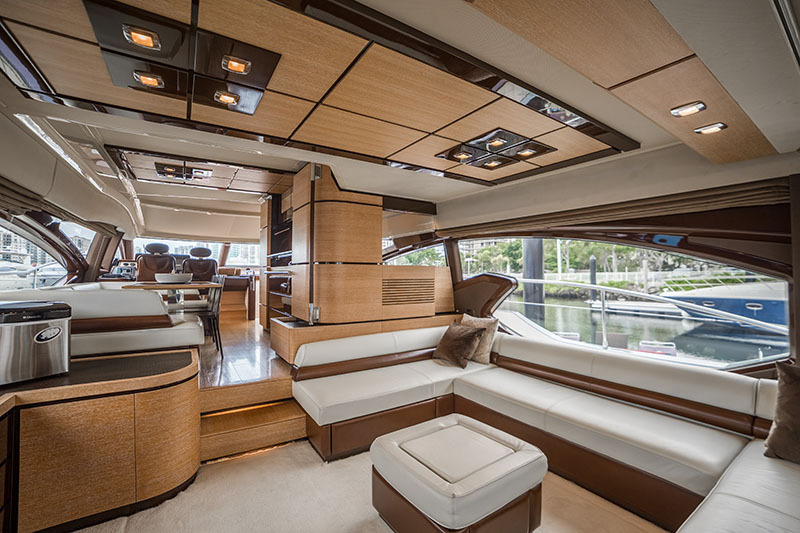 Rates as low as $4,500 per day. 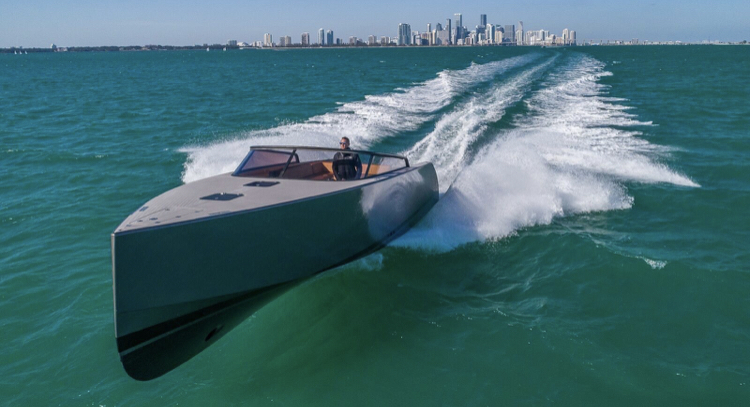 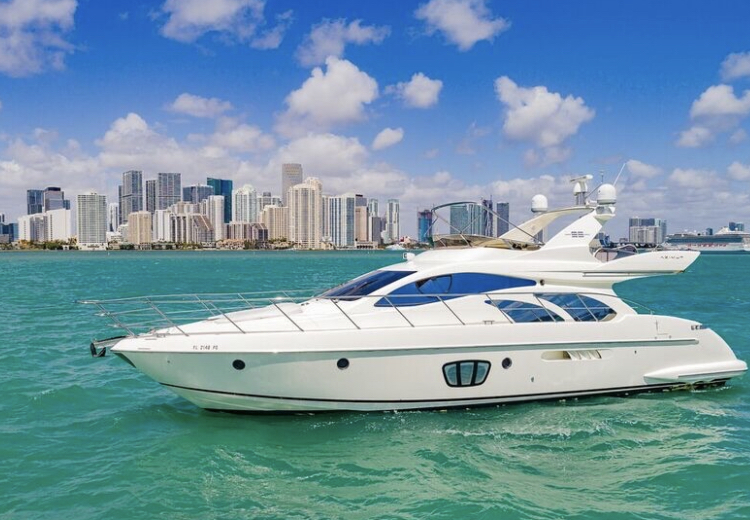 Explore the beautiful bay in Miami, Florida by boat! 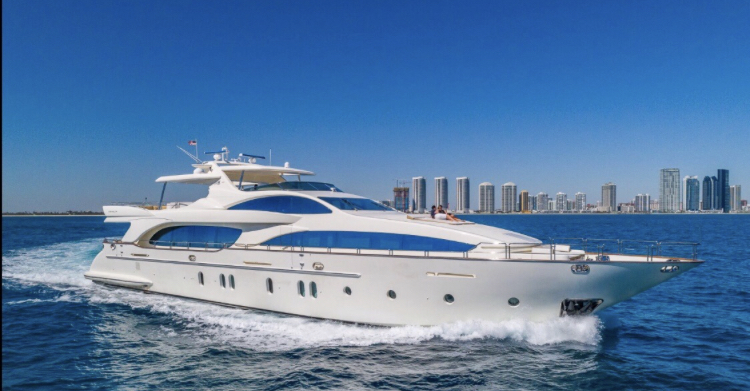 *A minimum 10-15% tip is mandatory for crew members and is not included in the charter prices. 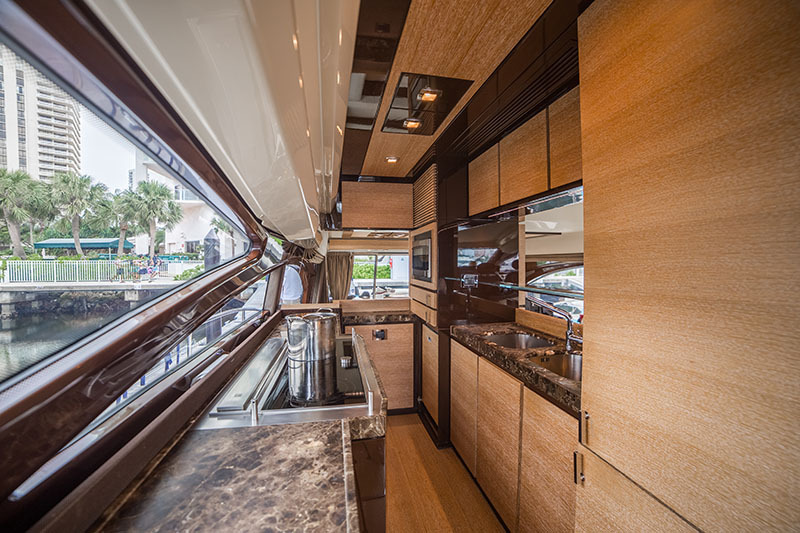 • We provide drinks, sodas, water, ice, etc. 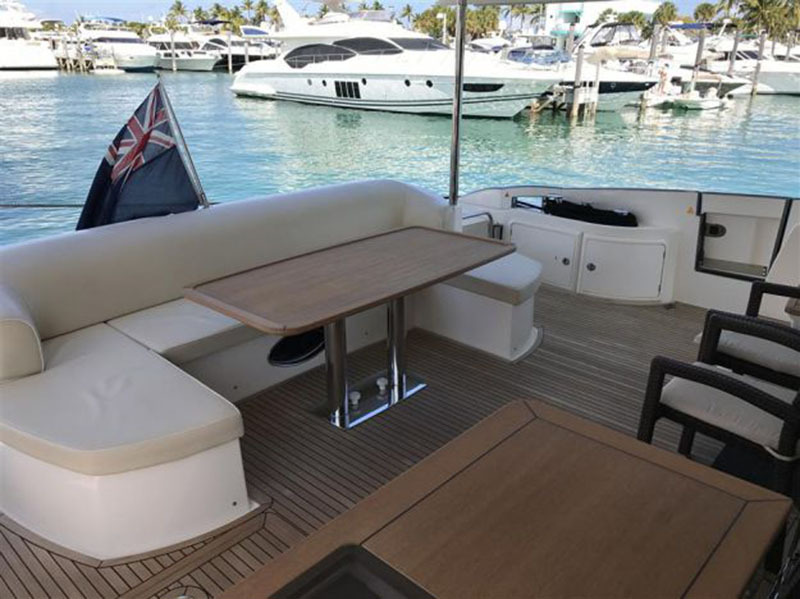 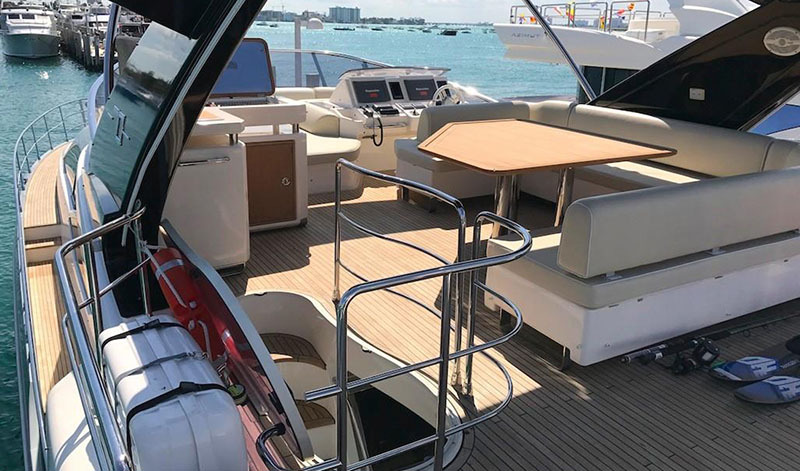 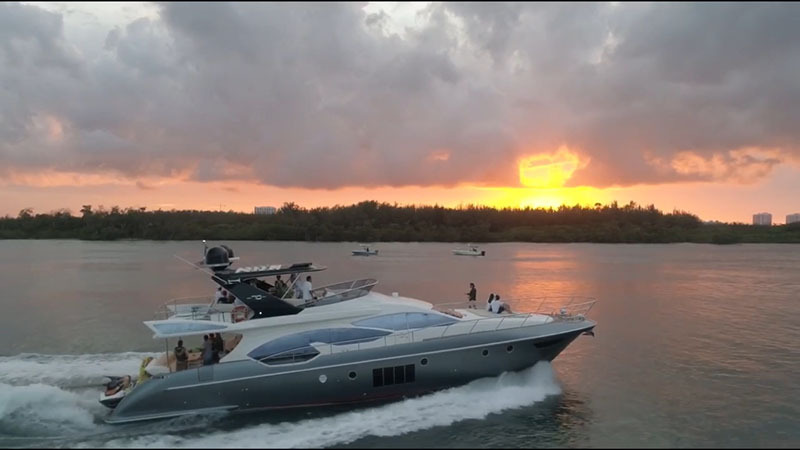 Enjoy this 5-star rating in a luxurious yacht from Azimut boat yard while discovering the beautiful destinations all around Florida, the Bahamas, Bimini and many more! 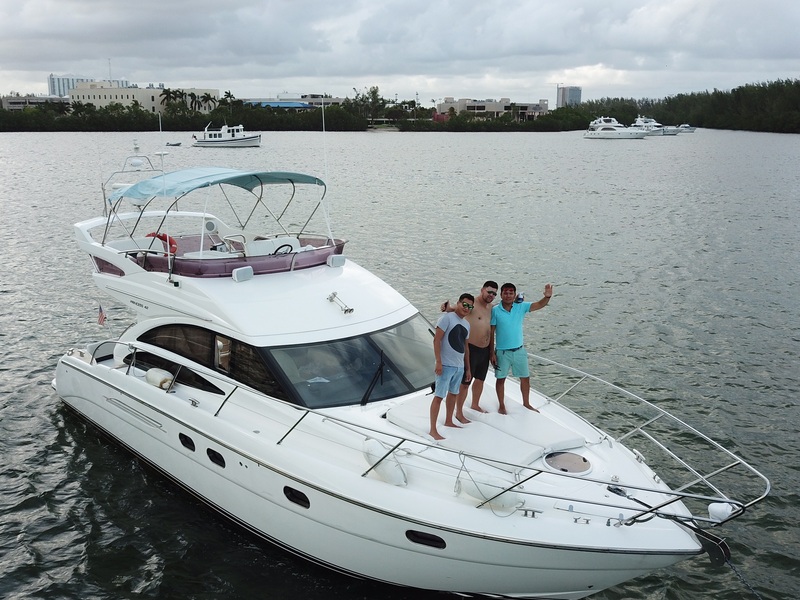 Our boat has safety boating certificate and great for touring all of Miami beaches.